CHELSEA manager Antonio Conte says his team is a contender but is just one of a number of sides that can win the English Premier League crown this season after coming from behind to beat Spurs and go top of the ladder. Tottenham looked on course to recover from its midweek Champions League exit when Christian Eriksen's long-range effort gave Mauricio Pochettino's side the lead in a dominant first-half performance. But just before the break, Pedro curled in a superb equaliser with the home team going on to take all three points after the break thanks to Victor Moses's winner. 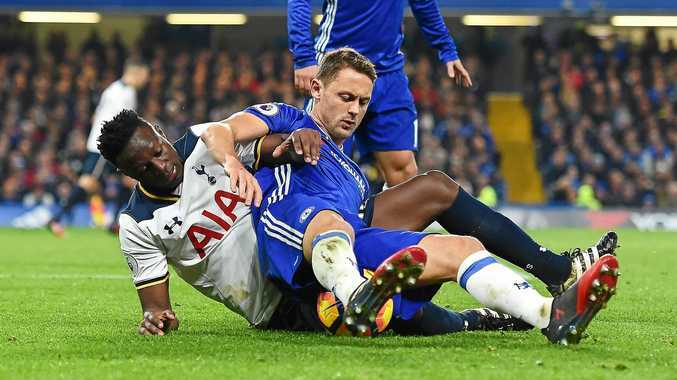 The defeat ended Spurs' unbeaten start to the EPL season but despite the win, Conte was still cool on his team's chances of winning the league. "It's too early to talk of the title. This league is very tough,” he said. Liverpool is a point behind Chelsea in second after a hard-fought 2-0 home win over Sunderland. The Black Cats slipped to the bottom of the ladder following Swansea City's remarkable 5-4 win over fellow struggler Crystal Palace. The Swans, who had not won since the opening day of the season, looked a certainty for the three points at 3-1 up with 22 minutes left thanks to a double from Leroy Fer and a Gylfi Sigurddson free-kick. But Palace, seeking to end a five-game losing run, then scored three goals in nine minutes to take a 4-3 lead. But just when it appeared Palace would escape with the points, substitute Fernando Llorente scored twice in stoppage time to give the home side a much-needed win. In other games, Manchester City defeated Burnley 2-1, Hull drew 1-1 with West Brom and Leicester City scored two penalties in a 2-2 home draw with Middlesbrough.